It’s not every day you get an opportunity to meet our founder Brian Butler. But I’m pleased to confirm that a date has been secured. 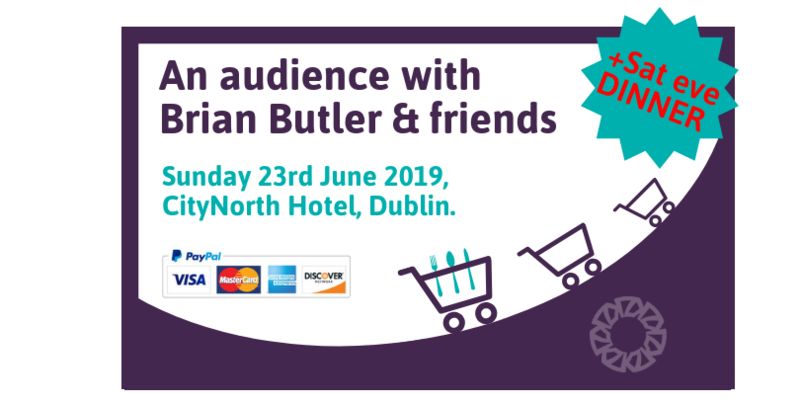 Sunday 23rd June Brian Butler WILL be in Ireland, in person, for the first time in 19 years! And you’re invited! Brian has been a keen supporter of all we do with Systematic Kinesiology in Ireland. Although he retired in 2000, his continued care and passion has meant huge support over all those years. More recent students in the past 5-6 years have met him virtually as he’s “popped in” to the annual T.A.C.T. Workshop via zoom. And last year, 100+ people attended his special zoom masterclass on nutrition. So this is a fantastic opportunity to meet Brian in person, thank him for all his support over the years, be inspired by his presentations, AND we’ve lined up some other great speakers who have also worked alongside Brian back when he was teaching in the UK. An exciting day bringing everyone together who has impacted on our learning and celebrating everything achieved so far. Everyone who’s been impacted by learning Systematic Kinesiology. Our current Balanced health students, diploma students, all our graduates of the Diploma and Balanced Health courses and the KinesiologyZone leadership team. And if it’s been a while, we’d love to see you. We’ll start at 9.15, so please aim to arrive around 9am. We’re in Whitewood 2/3 on the ground floor. For those who haven’t been to CityNorth before, it’s junction 7 off the M1 (15 mins north of the airport). Very easy to find, and there’s free parking. There will be presentations throughout the day, three of which by Brian Butler. Brian’s absolute strength is in inspiring people, and he’s going to speak about MCPE, the immune system, allergies and much more. When I was in Perth a couple years ago, Brian did a two hour “introduction” presentation which blew me away. This unique blend of working has such power, and there’s always something fresh to see when Brian shares his vision for Systematic Kinesiology. 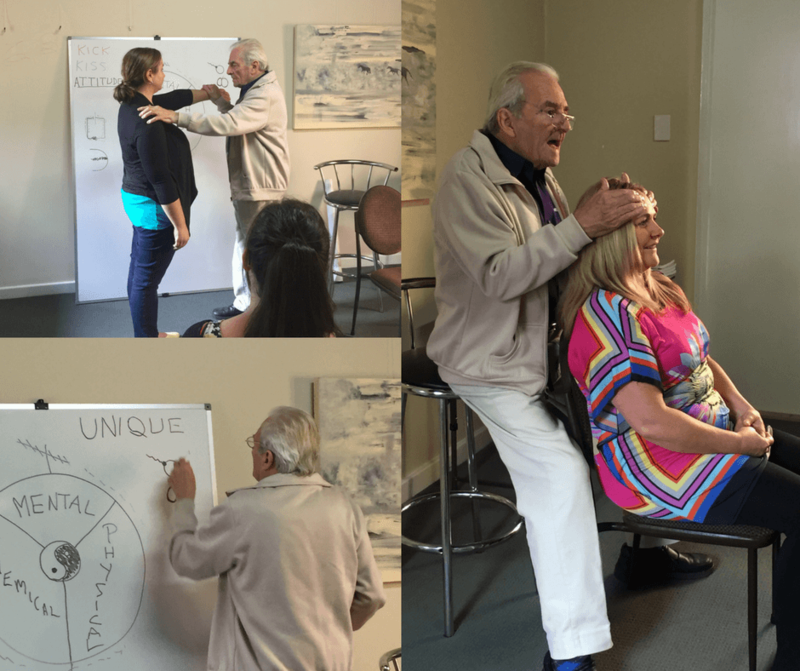 You’ll hear from those who’ve been teaching and working with Systematic Kinesiology for many years. It’s testament to this approach which is both gentle on the practitioner and continues to be enjoyable. Gek Bee, Brian Miller and Marek Urbanowicz have taught with Brian previously, so its going to be quite a gathering! Gek Bee is going to share a test for the 7th cranial nerve, as well as hidden glucose imbalances. Brian Miller will go into the factors around understanding the presenting condition, working with clients and knowing what to do, and his philosophy of health and ill health. Marek will talk about the Triple Warmer meridian and in particular about the thyroid / thymus connection from a energetic perspective. There will be lots of opportunity to ask questions, meet the speakers, get a photo with Brian, meet other graduates and make friends, have fun and be inspired by all the great work people are doing. The day will finish up around 5pm. Lunch break will be from 1pm to 2.15pm approx. There’s a buffet at the hotel, or over at the K Circle station across from the hotel. Systematic Kinesiology is at an important time in it’s history. First available in the UK in the early 1980s it’s now, approaching 40 years in existence. The community here in Ireland is growing. But what will take us from strength to strength will be vision, focused intention, motivation and action, all stemming from a deeper sense of the important role that Systematic Kinesiology is playing. This very special event is a one off occasion and we hope that you can make it. All our lives have been changed by what Brian Butler started all those years ago. He was the first to bring Kinesiology to Europe, pioneering the start of huge interest in Kinesiology, when so few were even aware of holistic approaches. This is an opportunity not to be missed. Truth be told, it’s hard to place a value on this unique event. The balance between covering costs and ensuring the price was affordable to everyone, we’ve come up with two options for you. The main event is on the Sunday – so Option 1 is to book your place for that day. Option 2 is adding in the evening before. We thought it might be nice to offer another opportunity for attendees. Since all the speakers will be arriving at the hotel on Saturday evening we are arranging for a private dinner to take place at the hotel. If you’d like to be a part of this VIP gathering – a 3 course dinner and glass of wine – with all speakers please select the 2nd option. We have an Early Bird rate, and up until 28th April a “Super Early Bird” rate saving €40 off the full price. This really does help us to plan, so secure your place today. Saturday dinner: 7.30pm – Special Dinner with Brian and friends – €50. Bonus: Reserved front section seating on Sunday for those attending the dinner. CityNorth are offering a special 15% discount on hotel rooms Saturday night. Full price: €200 | Early bird €170 | Super Early Bird: €160 (super early bird extended to 28th April). Bonus: Front section seating on Sunday reserved.